Last week students studying A-level Biology at Pembrokeshire College attended the eighth Wales Gene Park Sixth Form Genetics Conference held at St David’s Hall in Cardiff. Aimed at post-16 students studying at colleges and sixth forms across Wales, this year’s theme was ‘Spotlight on Genetics and Genomics’ and explored how discoveries in the rapidly advancing areas of DNA, genetics and genomics are being applied to aspects of everyday life. 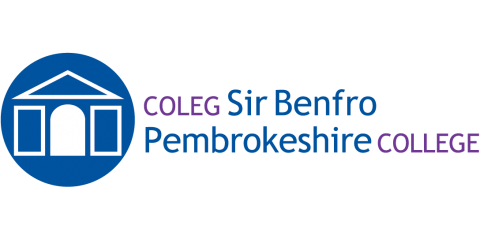 52 students studying their A-levels at Pembrokeshire College attended the conference which featured talks from leading science professionals including Professor Pete Kille and Dr Katie Lewis from Cardiff University and Dr Claire Asher from University College London. The conference opened with a talk on ‘Living in a DNA driven world’ and the transformative technology that is providing a step change in our ability to generate genomic information with implications for medicine, environmental research and society. Several talks followed including the role that our genes play in determining how well and when we sleep and how scientists have been working to decipher the genetic code of important plant crops including oil palm whose edible oil feeds over two billion people across the world. Following the talks, students also had the opportunity to take part in interactive demonstrations as well as talk to universities and organisations about the opportunities available to them in this fascinating field.